"2020’s E3 is when Sony and Microsoft will be unveiling their new systems"
Just when all information seemingly pointed towards a dramatic PS5 reveal at E3 2019 comes the news that both the PlayStation 5 and the next Xbox, dubbed by many commentators the Xbox Two, are both actually set for big reveals at E3 2020. Well, that's if the words of IDC analyst Lewis Ward are to be believed, who while recently speaking to GamingBolt stated his belief that E3 2019 would see a PS5 and Xbox Two no-show, with the PS4 and Xbox One most likely merely getting "modest hardware refreshes" along with "a slate of AAA exclusives". "If the plan is to give this assumed hardware refresh two years of runway before next-gen systems arrive, then 2020’s E3 is when Sony and Microsoft will be unveiling their new systems." Interestingly, and potentially adding weight to reports that alongside the PS5 Sony is also working on a next-gen 5G PlayStation Portable (PSP), Ward also noted in his interview that he believes both the next Xbox and PlayStation 5 "won’t have built-in screens and will have disc drives", seemingly pointing towards more traditional main console experiences. These comments will no doubt pour some cold water on loyal PlayStation fans' burning desire to get hands on with an all-powerful PS5 console, which was reported in late 2018 by the respected Japanese analytical firm Ace Securities to be on course to launch "at the end of 2019". Especially as a Christmas 2019 release date for the PS5 got weight added to it when a Sony tipster revealed the news that most of the company's "devs already have dev kits for PS5" and that Sony is currently "prepping hard for PS5". Of course, regardless of whether the PS5 launches in 2019 before the Xbox Two, or in 2020 alongside it at E3, it does indeed seem that Sony's apparent covert operation to launch the PS5 well before when it originally indicated it would, saying there would be no new PlayStation until 2021, seems well on course. Will the Sony PS5 launch alongside the Microsoft Xbox Two at E3 2020? If the Sony PlayStation 5 does launch before or at the same time as the next Xbox then Microsoft is sure to be worried, as it would no doubt affect its plan claw back gamer mind share and install base after losing out to the PS4 this generation. 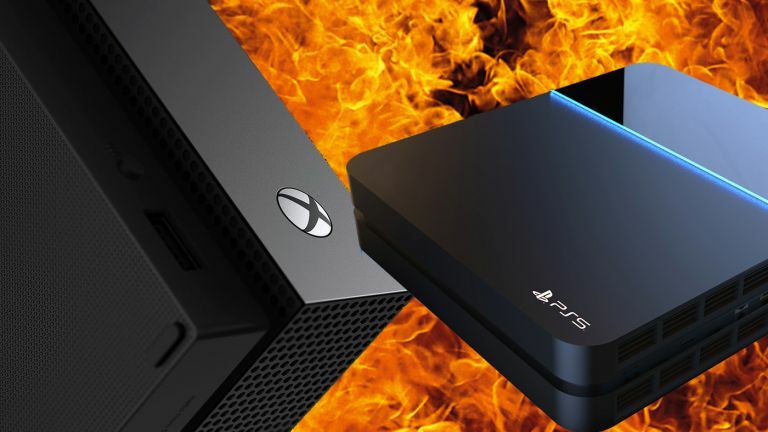 Hopefully, an Xbox Scarlett triple attack, PS5 pummelling super weapon, and amazing selection of next-generation AAA games will help Microsoft combat the PS5 - and Mad Box - threat. One thing is for sure, though, if Ward's comments prove true and E3 2019 ends up not as exciting as we all thought it would be, it now sure looks like E3 2020 is going to be one hell of a show, a show where not just one but two next-gen consoles get unwrapped.